Whenever I get a cold, a powerful force overtakes me and I get an overwhelming urge to get organized. As an INFP, normally, I can easily, even unwittingly overlook mess and clutter. Yup, I'm a natural born slob. Except when it comes to my sewing. In that case, my brain suddenly switches over to detail-oriented mode. Not one to miss an opportunity, when we were sick last week I took advantage of the compulsion to organize and sorted through six large containers of my girls' clothes. 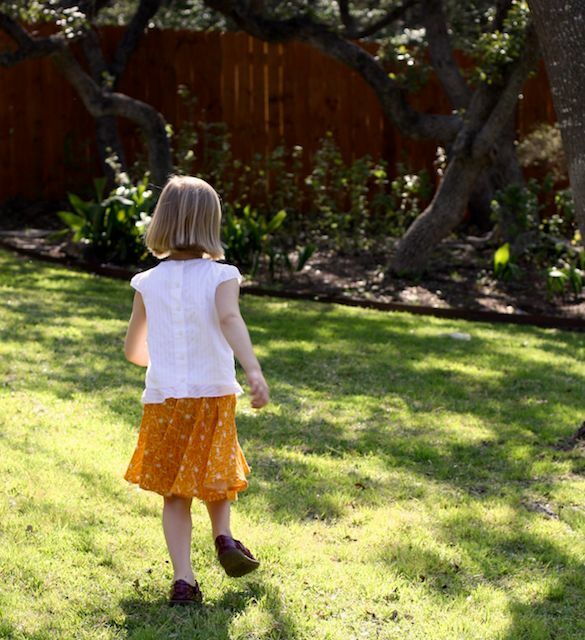 As beneficiaries of hand-me-downs galore, Iris and Evie have summer clothing in abundance. We were even able to pass along an entire garbage bag filled with clothes to another family. Yet Indigo's stash was in need of some re-building. It was time for another circle skirt. 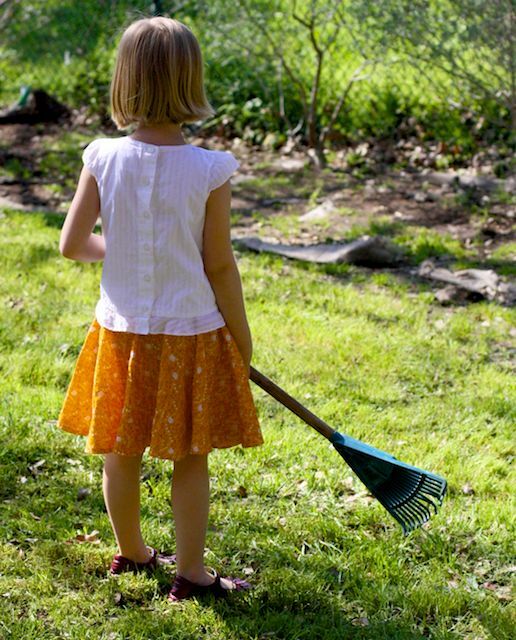 This is the easiest skirt I've ever made. There are no side seams to sew or finish. After drafting the pattern, this literally takes 15 minutes from start to finish. Don't be intimidated by the math/geometry involved in drafting the pattern. It's actually simple. And once you draft one pattern, you can use it again and again. 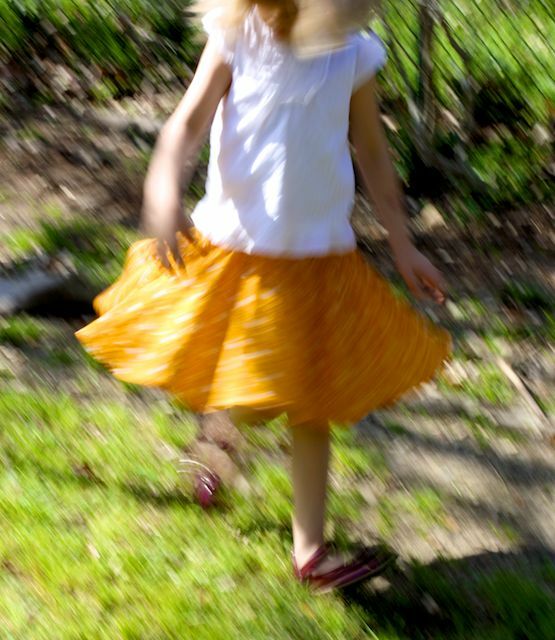 As far as twirling goes, this skirt can't be beat. Love it! I think I should make one for myself (: One of my favorite skirts is the one I made with you! 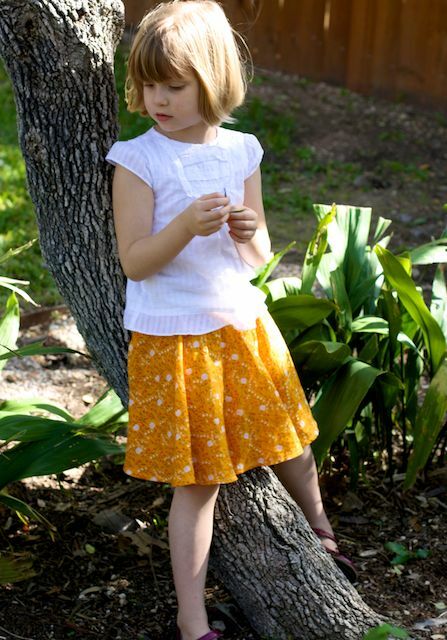 Lauryssa, you actually *can* make an adult version of this skirt! I've been thinking of it for myself too. I was looking at skirt tutorials last night. I've been a little intimidated after our less positive experience sewing that one skirt on the bias. I haven't wanted to sew one with a zipper. We'll see. 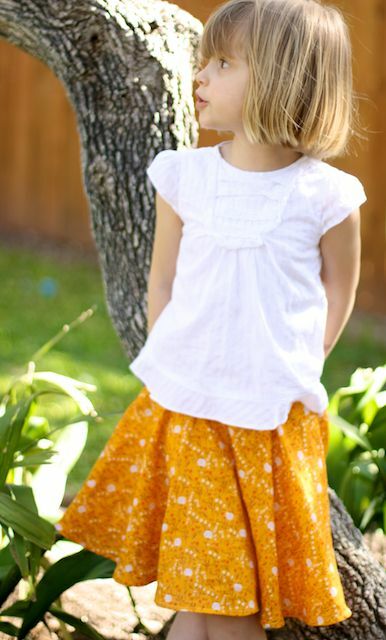 So glad you are loving your skirt! I may stink at sewing, but I always love seeing what you make! Beautiful!! I'm an ESFJ....how come I can easily over look mess too (although not clutter...I HATE clutter)?